You may know how valves work, but do you know how to select the right valve for the job based on its performance characteristics? If not, this is the course you’ve been looking for. 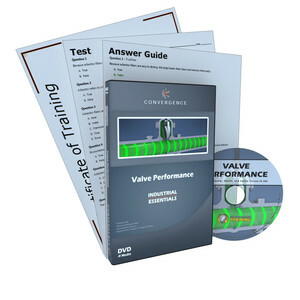 Learn all the basic concepts and terms for evaluating a valve, including those for the amount of fluid that can flow through a given valve in a period of time, the distance the valve stem travels from the open to closed position and the relationship between the valve travel distance and the corresponding changes in flow rate. You’ll also discover how the performance of a valve can change after it’s installed in a real system with varying conditions, how well a valve can withstand pressure and prevent leakage, and how control systems can be used to increase the efficiency of valves.